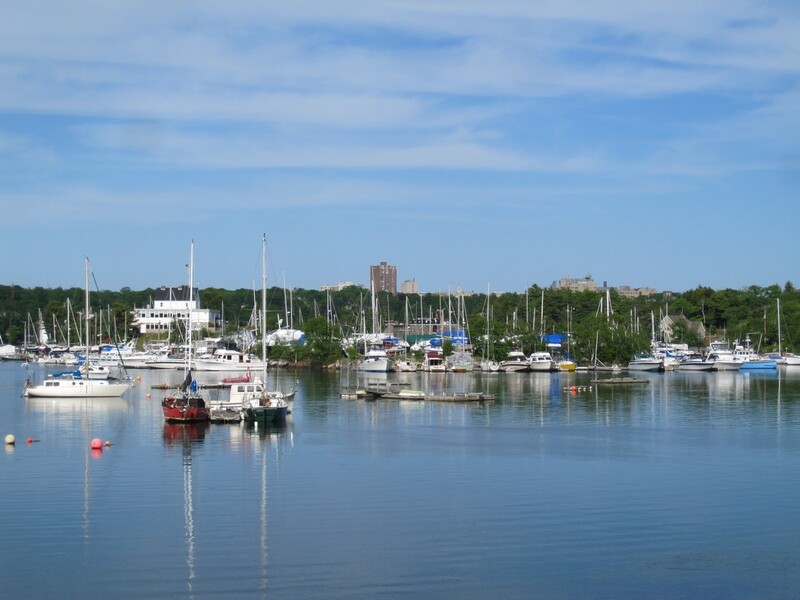 Originally named the "Sandwich River," the Northwest Arm is a narrow inlet that separates Mainland Halifax from the downtown peninsula. 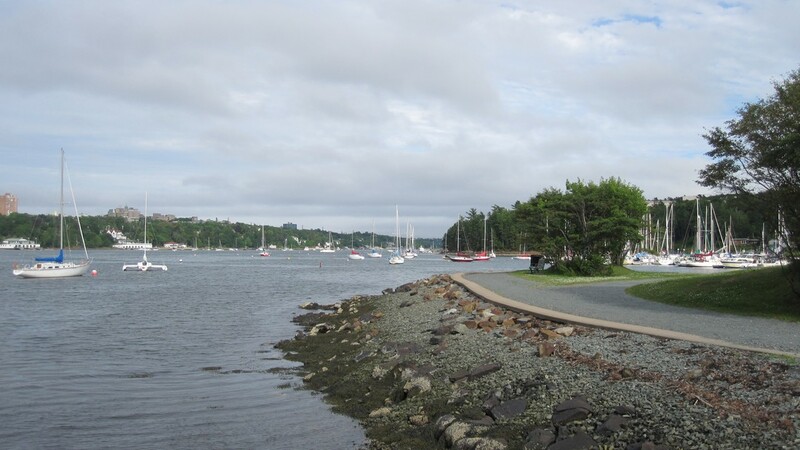 Nearly all the way to the end of the Arm is the scenic Regatta Point Trail and the historic Melville Island. Once the site of a War of 1812 British Prison, Melville Island (in the background of the above picture) is now a private boat club. 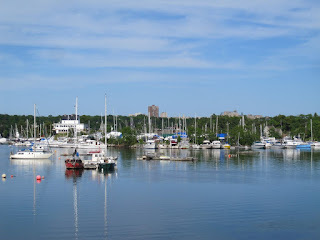 The prison still stands, but is barely visible behind the trees and yachts, and is not accessible as Melville Island is now private property. 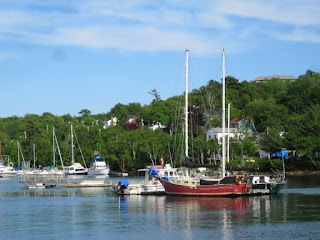 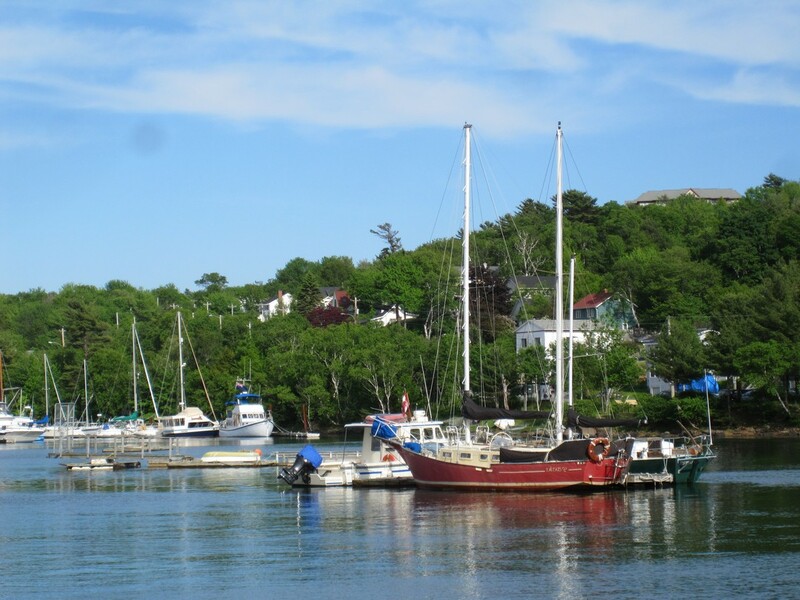 Today, the main reason to walk along the Regatta Point Trail beside Melville Cove, is to see the charming boats peacefully bobbing up and down on the water; their rhythmic undulations guaranteed to melt away any tensions brought on by a stressful day.